In years past, my grade level team has collected money for each field trip as it came up. 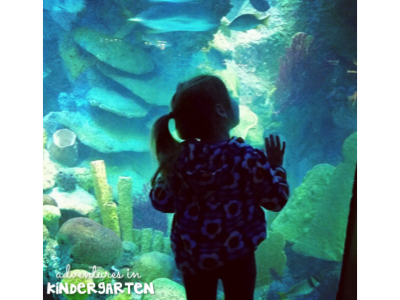 $7 in January for the Aquarium, $8 in April for the Children's Museum and $12 in June for the Farm. This meant that at least three times each year we were keeping checklists of which child had paid how much, making change to send back in folders, and chasing down parents who hadn't paid the day before a field trip. It was STRESSFUL to say the least. It was also tricky for parents to come up with exact change for these random amounts of money. Then one day I read a blog post that changed my whole perspective. 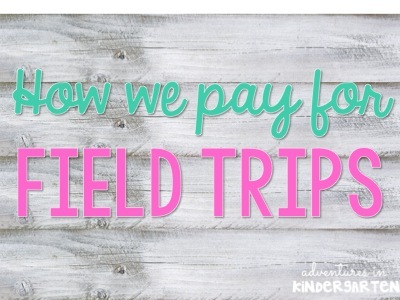 Maria from KinderCraze wrote about how she and her teaching partner charge $25 per child for fun classroom extras like t-shirts, magazines and a Mother's Day Tea. A lightbulb went off for me. 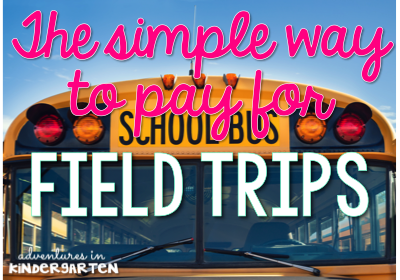 Why not do the same for field trips?! I brought it up with my team, and they loved the idea! 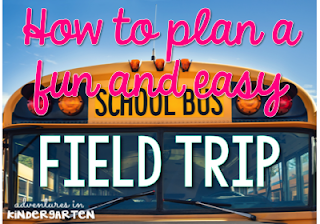 Our next step was to calculate exactly how much all of our field trips for the year cost per child, and to check with our principal to make sure this was an acceptable plan. I should also note that I work in an inner city school where many families struggle with poverty. We knew that our approach needed to be sensitive to the needs of our families while also providing the best possible educational experiences for our little ones. 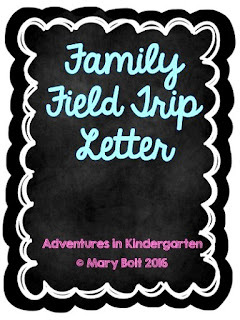 We announced our new plan at Fall Open House, then followed up with a letter the next day. Be sure to focus on the positive. Parents want to know exactly what their child will receive in exchange for this money. We gave about six weeks, or three pay cycles, for parents to contribute. We also offered struggling families to pay in $5 increments every one to two weeks. Realize that for many families, especially those with multiple children, $25 is a lot of money. These little ones will still be included on our trips. I wouldn't be able to sleep at night knowing that a child was excluded because his or her parents couldn't pay. In this situation the other children's funds will cover the cost. Grab a copy of the letter we sent home with each child (in English and Spanish) by clicking the image above. 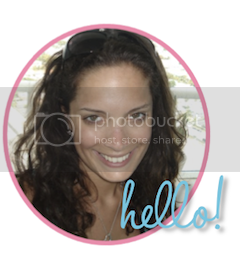 The document is fully editable so that you can change it to suit your needs. 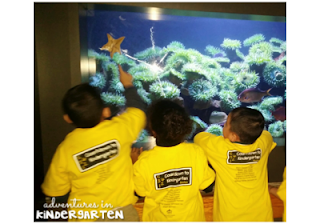 You can also check out my tips to make your field trips simple and easy on the Kinder Tribe blog.